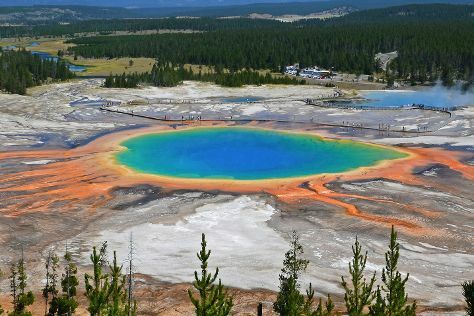 Yellowstone National Park is known for nature, wildlife, trails, historic sites, and nightlife. Your plan includes some of its best attractions: explore the stunning scenery at Grand Canyon of the Yellowstone, stop by Fishing Bridge General Store, explore the activities along Madison River, and take in the natural beauty of Old Faithful. Plan a Yellowstone National Park trip in moments using our itinerary builder. In June, daytime highs in Yellowstone National Park are 66°F, while nighttime lows are 34°F. Finish your sightseeing early on the 13th (Thu) to allow enough time to travel back home.